Hello dear readers and new followers! Just a quick post for today. You might recognize this mani from my mummy mani tutorial. I used OPI Suzi Says Feng Shui as base color and the metallic blue on top is China Glaze Adore. On its own, Adore can leave brush strokes at times, but it's great for tape manis and opaque in a single coat. Yay for one-coaters! 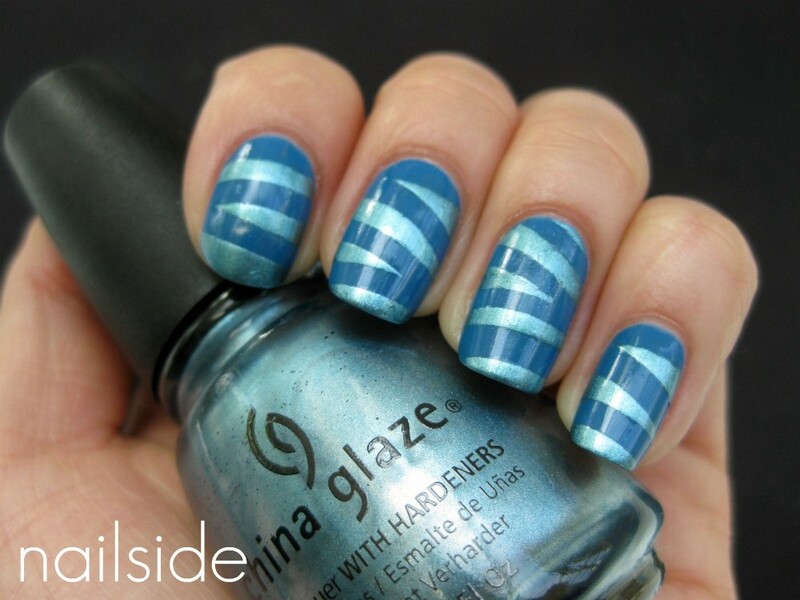 :) So if you like this tape mani and want to create it yourself, just check out the tutorial here, if you haven't seen it yet. love the color combo!! pretty! ikr pretty color combo like so cute !!! !